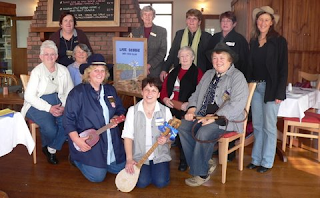 Members and guests of LGDVC celebrated a ‘yee haw’ of a Third Birthday at Goolabri Country Resort. The theme of "Blues Country" was echoed in the clothing and accessories of the attendees, with checkered shirts, hats, cow bells and whip being the order of the day. Zone Councillor, Fiona Spottiswood read a country ditty about the ladies of the LGDV club and Juanita Cucinotta entertained everyone with her wonderful Blues Country songs in front of the roaring fire that provided both warmth and ambience for the entire event. The celebration culminated in a wonderful birthday cake and raffle prizes galore. A great day was had by all. President Pauline Segeri congratulated the club on it's third birthday and wished all the members many more years of fun packed attendance of the LGDVC. To complete the proceedings we all sang our own LGDVC birthday song (in a round, no less) that was specially written for this occassion by Lydia, the publicity/program officer. We would like to thank all the clubs who supported our fledgeling club by their attendance and birthday wishes. Another record attendance! LGDVC meets on the THIRD Tuesday of the month. We actively encourage ladies from the Wamboin, Sutton, Bungendore, Braidwood, Bywong, Captains Flat and surrounding areas to join our DAY Club. 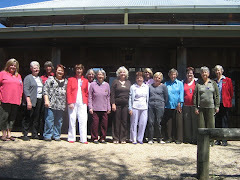 The next meeting of the Lake George Day VIEW Club will be on Tuesday September 18, 2007 commencing at 11.30am for a 12 noon start at Goolabri Country Resort. Cost is $21. More info to follow. If you have drought pack items to donate please bring them along as this is the last month we are collecting before handing them over to those who are greatest in need. New members and guests are always welcome. For bookings please ring Kerry on 6238 0603 by noon Friday 14 September. 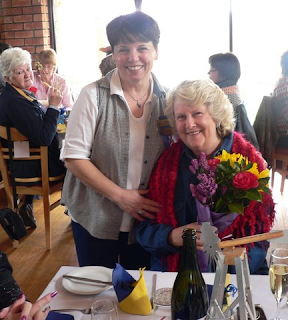 Photo 2: President Pauline Segeri presenting National Councillor Rhonda Spottiswood a spring posy of flowers for her birthday at the Club birthday. Won't see you all next time around, but hopefully will be able to attend the following one. Have a wonderful luncheon and I will keep in the loop for the future ones.